It is often said that business owners should not work for/with family members. However, that is exactly what I decide to do beginning of this year taking on the renovation project for my parent’s house….I have to admit there were definitely some advantages to “getting selected” for the project, and one of those advantages is that I was given complete discretionary power over what and how to design all the way to executing those design ideas. However, those “advantages” seem to disappear fast…..especially on the first day of demolition work. Seeing the construction crew knocking down the walls, taking out the floor, windows being ripped out creates a way too many “what have I done?” moments. The photos here on the blog illustrate what happened on the first day after getting the building permit and signing the contract for the renovation work. 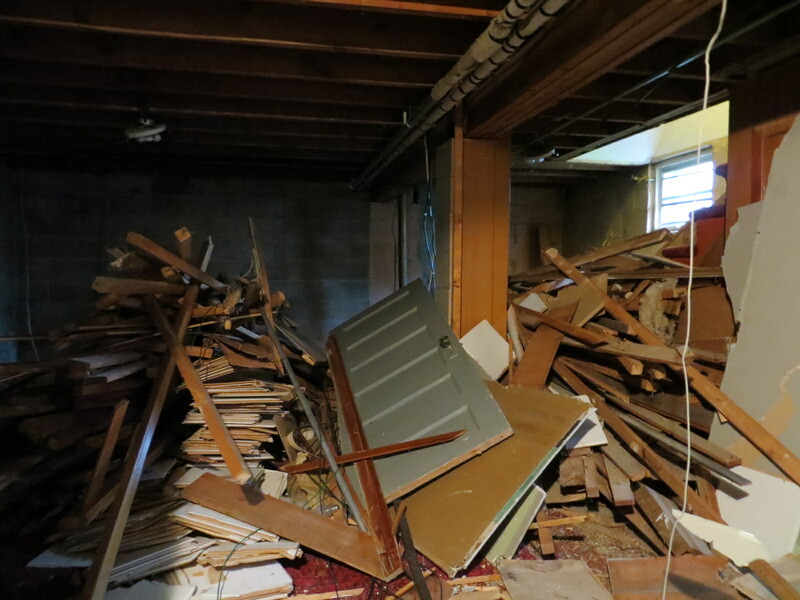 Seeing demolition work at the construction job site is part of my typical professional work, however, seeing it through my parent’s house felt somehow different….to be more precise, it is the feeling of anxiety. Pingback: Whatever happened to the renovation project you worked on for your family?